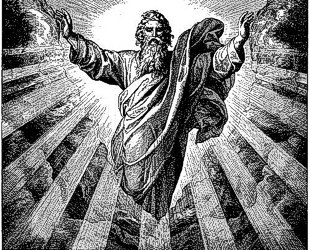 ← Is God Truly Omnipresent? Infinite power means infinite potential energy. Yet we know that the universe only contains a finite amount of energy. If God exists only within this universe, God’s power is finite, God cannot be omnipotent. On the other hand, if the universe exists within God then He could possibly have infinite energy in which to affect this lesser finite universe. God can only be omnipotent if He is transcendent. This entry was posted in [pseudo]Science, Ponderings and tagged God. Bookmark the permalink. If forgiveness is medicine for the soul, then gratitude is vitamins. Kurtis Karr's Blog > [pseudo]Science > Is God Truly Omnipotent? Are We Saved By Our Faith Alone? Does Even God Know What You Are Going to Do?